Hello, shooters enthusiasts, we are back! How is your shooting experience? We hope you have so much fun with it. Today we write this article to give you the information about a topic that we have been receiving a lot of questions recently. It is about the best scope for a 7MM Rem Mag. We might have heard about this strong belted round. It works perfectly for dangerous games at a far distance. To maximize the features of this round, you should use a scope. What is the best scope? You will have the answer for yourself after reading this article. For those who don’t know about 7MM Rem Mag, let’s take a quick talk about this 7MM Rem Mag first. What is a 7MM Rem Mag? Where Did a 7mm Rem Mag Come From? Do You Have The Best Scope in Mind? This is one of the most popular rounds on the market. Invented in the early 1960s, it soon becomes favorite cartridges in the hunter enthusiasts community. US Secret Service also utilizes it as an Urban Sniper Rifle. How cool is it, right? It is derived from belted, bottleneck magnum family which has the caliber of .28. After the round is fired, you can reload it again. Or use can combine it with gunpowder, bullets, and primer. It started in the early 20th when Holland & Holland - a munitions company in England invented a round for rifles. However, they then realized that the bolt seems to take the round go into the chamber deeply resulting in broking down the rifle and injuring the shooter. It was when the .375 H&H Magnum cartridge came into the market. They created a rimless belted round with a wider base. Thanks to the base, the shell is protected in the chamber. Thus, it inserts and extracts the cartridge safely and easily. Since then, this kind of round become a standard for all of the cartridges designs. In the early 1960s, Remington invented a round in the belted family. It was 7mm Rem Mag. This product hit all the best - selling record of magnum rifle cartridges at that time. 7mm Rem Mag is well-known for its velocity, flat trajectory. The insertion and extraction are easy for the chamber. 7mm Rem Mag is usually used for hunting big animals as it carries a strong cartridge. For example, a dear can be shooted at 500 yards with the bullets of 140-grain. In case you use 160-grain, you can even hunt elks in the similar distance. It brings you the excellent shooting experience by integrating the recoil, gun powder, and bullets. What makes this cartridge special is its perfectly flat shooting trajectory. Moreover, it can fit into a wide range of rifles such as Ruger, Sako, Remington, etc. 7mm Rem Magnum is suitable for dangerous games thanks to its power. Compared to .30 caliber, this round can aim at a much higher distance. The 7mm Magnum only shines when it plays at a far distance. That said, a scope which helps aim at the target accurately at a far cover in any conditions can maximize its potential. 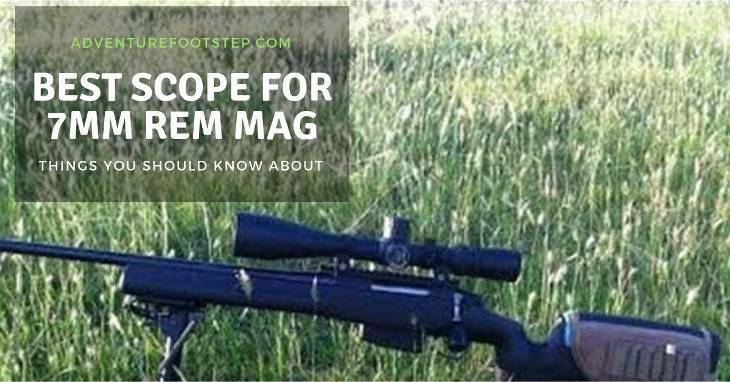 Besides, Scopes can not only bear the recoil but also support the flat trajectory of the magnum. For variable scopes, it is suitable for any kinds of environment, even when you are hunting at the close cover or a far distance. This scope allows you to adjust a wide range of magnification. You can zoom in or zoom out the target easily. On the other hands, fixed scopes cannot have many variables for you to adjust the magnifications. However, for those who tend to shoot at the same distances, this scope is enough for you thanks to its simplicity. This is a very important concept in choosing the good scopes. The scope numbers are divided into two part separated by ‘X’. The number comes before ‘X’ show the magnification. The previous one is the objective lens diameter. For variable scopes, there are two numbers in the magnification part. It means the magnification can be adjusted by its variables. Regarding fixed-power scopes, there is only one number in the magnification part. It means the power is fixed. The higher the magnification, the bigger you see the target through its lens. That said if you want to shoot targets at long-range distances. You should choose variable scopes. In case you only shoot at a close cover, a compact, cheap fixed scope is perfect. Don’t overlook this factor if you don’t want to hurt yourself. Eye relief factor refers to the distance between your eyes and ocular lens when you are in the position. For the big caliber rifles, you should get at least 2 inches of eye relief. Regardless of the magnification, your scope should provide with a clear view. Thus, lenses are really important. Good lenses will assist you to shoot accurately and read the wind speed. Everyone expects a strong and durable body scope, right? Well, then pick up the one that has the single piece body. It is best if it can have weather resistance features. This list might go very long that we cannot cover everything for you within this article. After doing practical research into this field, we have come up with the three best scopes for 7mm rem mag. Now, let’s check it out each other and its features as well. 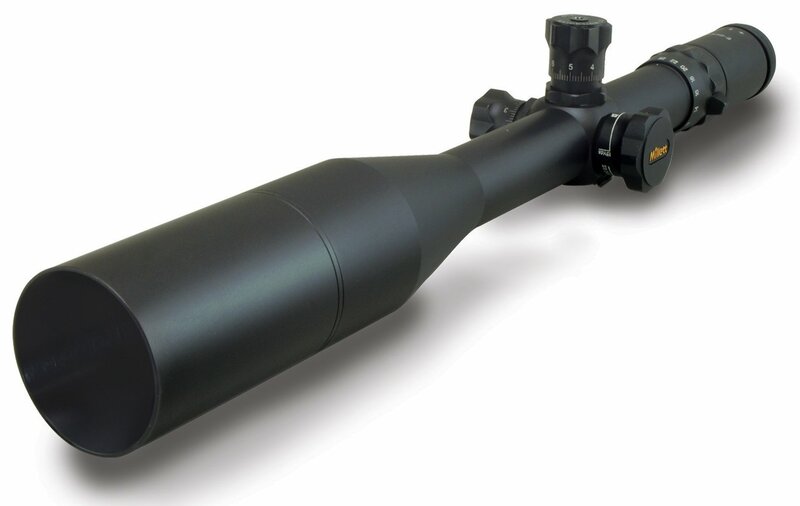 This is a variable scope which offers a long-range magnification for you. It suits the best for dangerous games, thereby, the body scope is durable. Let’s talk more about the body scope, it is made from aluminum with a matte finish. Moreover, the lenses are multi-coated to raise the brightness, especially the shooting accuracy is also increased thanks to a plex reticle. You can adjust its magnification easily as it has ¼ MOA adjustment. One important thing that makes it suitable for 7mm Rem Mag is its lightweight design. What’s more? It gives you a lifetime warranty! How amazing it is, right? The power of the scope makes it easier to reach out and shoot the target at a long distance. This Nikon scope is made from the combination of aluminum and polymer. Therefore, it is still durable even in strong shots. The cool thing about it is the waterproof and weather resistance thanks to the O-sealed and nitrogen-filled ring features. Additionally, the magnification is added up to 12x. With the high-quality optics and 98% light transmission, you will shoot the target accurately. Want to protect your eyes? Well, this products is for you as it offers you 3.7 inches eye relief. The BDC reticle and quick-focus lens also help increase your shooting experience. Be able to see clearly despite the low light. Shipping protection is not good, some products have been used. Unable to see the optics after sunset. This strong one is normally used for hunting at a long distance and tactical fighting. Hence, it is very compatible with 7mm Rem Mag. 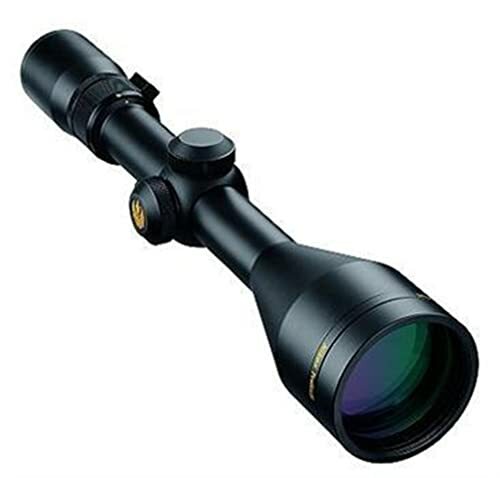 It is also a variable scope with the magnification range of 6-25x. The lens is 56mm which is a perfect number for the view. It gives you ¼ windage and elevation adjustments. And of course, it promises to work well under all kinds of conditions. To provide you with the greater image in low-light conditions, this brand includes the side illumination features in their products. Even though it might be pretty heavy for some people, its amazing features are still worth the money. Good optics. This can remain its shape for years. After reading the reviews, do you choose one for your 7mm Rem Mag? 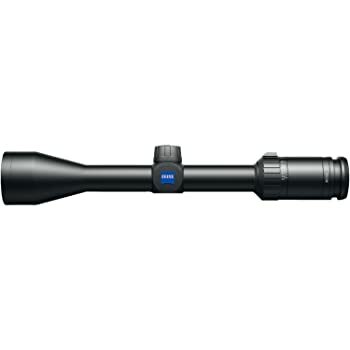 For our recommendation, the first product ZEISS TERRA 4-12X42MM PLEX RIFLE SCOPE is the winner amongst those three scopes. All the three products provide you with amazing features, weather resistance, and lifetime warranty. Nevertheless, the first one has great customer service. It is packed in safe conditions and delivers on time. Besides, it is easy to reach out the manufacturers when the product has issues. For us, this is very important. The other two are also good. They have their own advantages. Depending on the list of how to choose the best one in this article, you can also consider the different choices. Don’t forget to share your experience with us on the comment below.